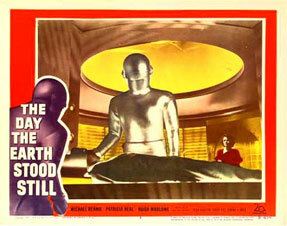 A Lobby Card is a scene from a movie that is printed on heavier stock paper and usually measure 11" x 14". These were usually produced in set of 8 (although sets of 4, 10, 12 or 16 are also produced) and each card in the set would have different artwork or photographs featuring scenes from the film. Lobby Cards were designed for display in a theater's lobby or foyer with the intention of luring patrons into the theater by showing glimpses of key scenes from the movie. A lobby card set typically consists of one Title Card (TC), which is a lobby card of special design usually depicting all the main starts and containing credit information. 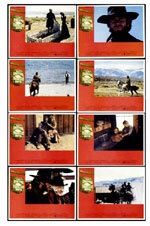 The remained of the set would be seven Scene Cards (SC), each depicting a different scene from the movie. 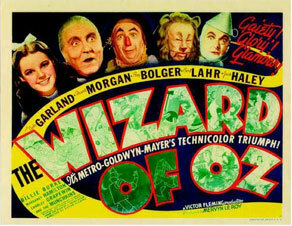 Some studios did produce lobby card sets without a Title Card.